Beginner’s Guide: How do I add images to my content? Every good blog post deserves at least one good picture, and the same goes for every page on your website. Pictures also help to structure your content better and provide the reader with an additional eye-catcher. 1. Open any post to which you want to add an image. Place the cursor where you want the image to appear in the text editor. Then click on Add Media in the upper left corner of the text editor. 2. A popup window appears in which an already uploaded file (media library) can be selected or how in our example a new file can be selected. 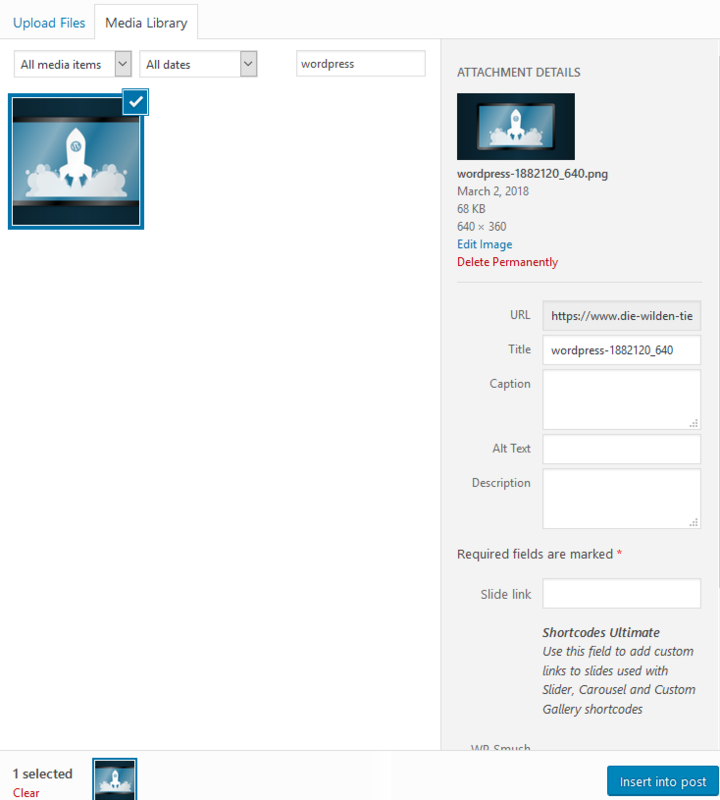 Simply drag and drop an image into the Media window or click Add Media to select an image from your computer. 3. Once the image is uploaded to the library, additional information such as title, caption, alternative text, and description of the image can be saved. 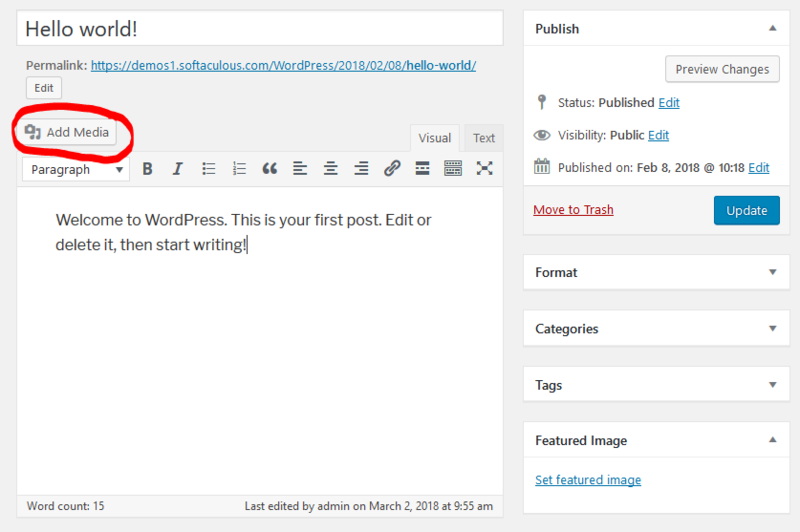 WordPress has a small image editing program integrated, with which you can quickly edit images. Image size can be edited, mirrored and rotated. You can also specify how the image is to be aligned on the page. When you're done with all the settings, click Add to Post and the image will appear visually in your post's text editor. What is a featured image and why do I need it at all? The difference to an image in the post (as explained at the beginning) and a featured image is that this is displayed as a preview image for your posts in the theme used. 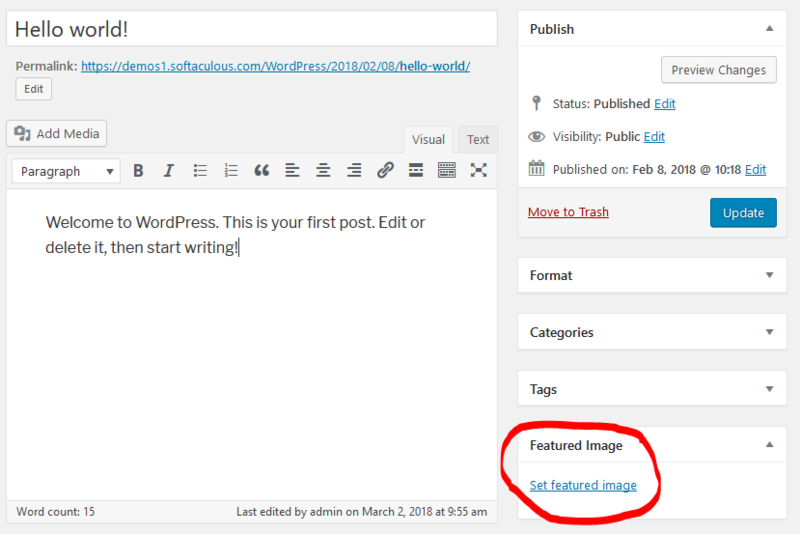 Post images are basically a function for WordPress themes and are only displayed on the website if the theme supports such a function. However, this is the case for 99% of the themes. Important: The theme controls only the size, orientation, format and position as this post image appears on your website. 1. Open any post to which you want to add a post image. Then click on set featured image in the lower right corner of the post. Now perform steps 2. and 3. just as if you were adding an image to your content.